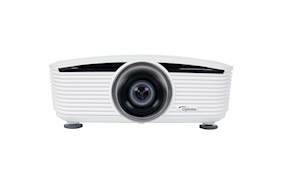 Optoma X605 projectors, Xbox Kinect, Intel PC, loudspeakers, touch-screen, protective housing, bespoke software. "We chose the X605 to sit at the heart of the solution because it has a great price to quality ratio, great reliability and produces outstanding brightness." "The games and applications make the training fun, motivate and give feedback to help you become a better climber." 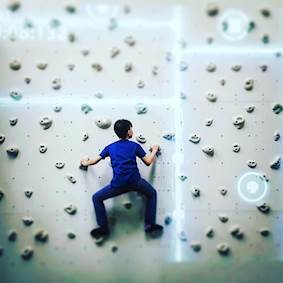 "The Augmented Climbing Wall is always under active development. New games and features are being developed all the time to ensure the system stays fresh." "It is really easy for children to use. All of the games are on a monitor for them to select and we have a member of staff on standby in case they need help. The most popular game for our younger customers is Whack a Bat. The Sparks game is a little trickier and more challenging. So, there is something for everyone!" 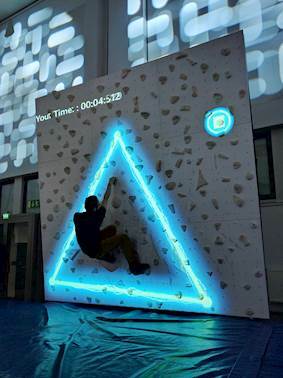 Augmented Climbing Wall is the world’s first global gaming platform for climbing and bouldering walls. It combines projected graphics and body tracking to create interactive games and training applications. 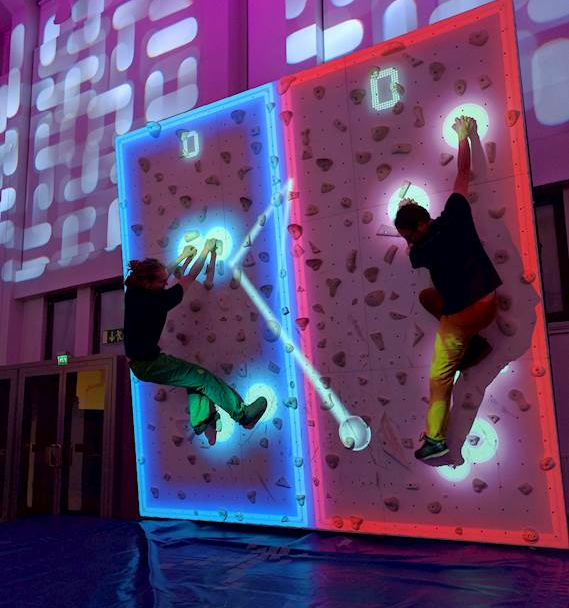 Augmented Climbing Walls interactive games are projected onto a white wall with white climbing holds. 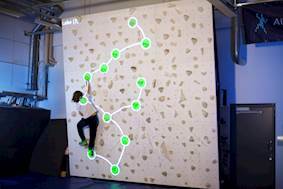 The sophisticated system is programmed to recognize individual human body parts, making the games responsive to climbers’ movements. 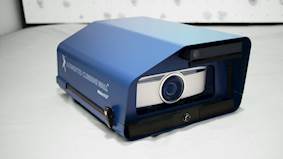 At its heart is a bright 6,000-lumen X605 Optoma projector, an Xbox Kinect – a motion tracking camera using Valo Motion’s own computer vision algorithms and a powerful customized Intel PC running software developed by the team. 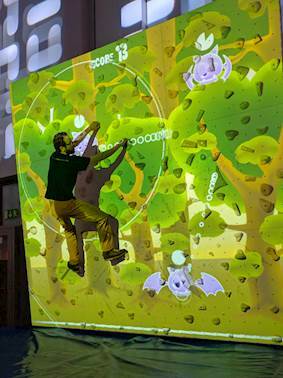 Augmented Climbing Wall is the world’s first global gaming platform for climbing walls.